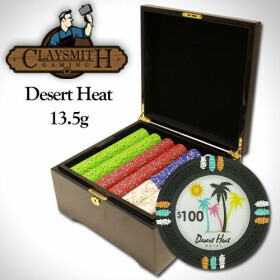 Always keep a set of chips around, you never know when a game will break out! 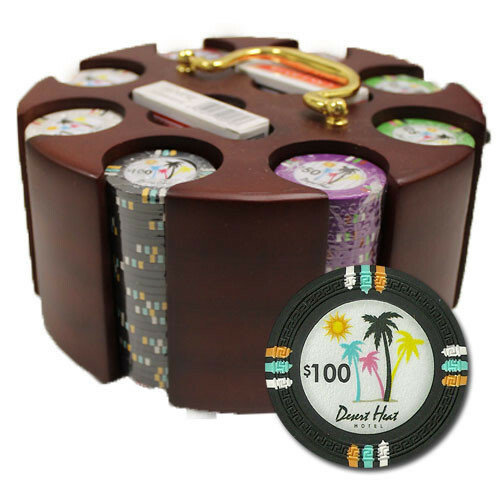 This set features a classic wooden carousel and 200, but not those cheap plastic poker chips you buy at the dimestore. 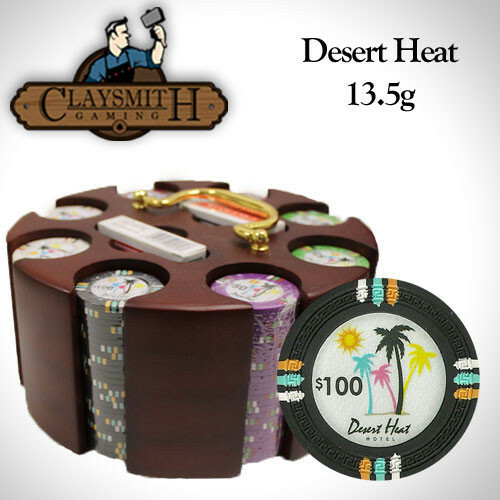 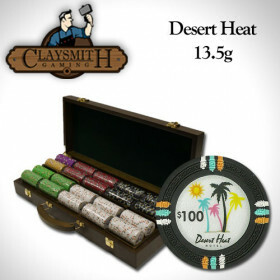 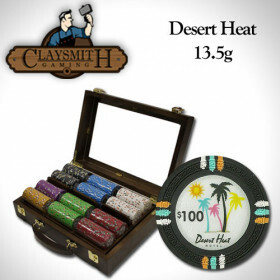 The Desert Heat poker chips are casino-quality, clay composite poker chips that will set your home poker games apart from the crowd. 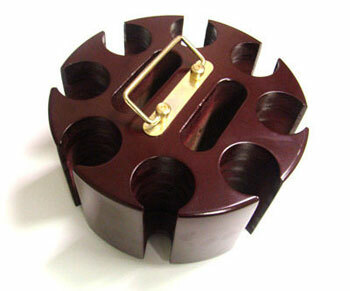 Simple classic style. 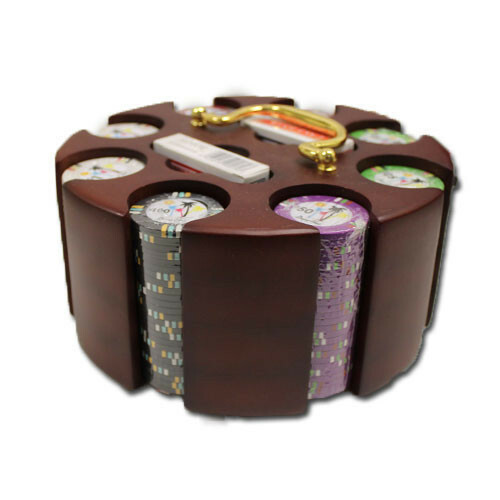 This 200pc poker chip set comes in a beatiful and classic wooden carousel to keep your chips stored and organized. 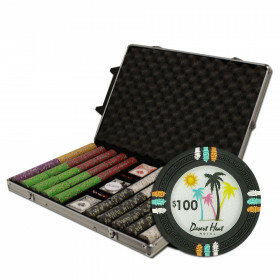 The set includes two decks of playing cards that fit directly into the carousel so you have your whole kit in one place.